The Akwa Ibom State Governorship Election Petitions Tribunal sitting Abuja has struck out a petition by the candidate of the Labour Party, Senator Helen Esuene, seeking to nullify the election of the Governor of Akwa Ibom State, Mr. Udom Emmanuel. Presiding judge, Justice A. S. Umar, in his ruling, struck out the petition of the Akwa Ibom State Labour Party candidate and held that the petition was incompetent. Counsel to the state Governor, Mr. Paul Usoro SAN), had challenged the competence the Labour Party candidate’s petition on the grounds that Exhibit A, the purported Certified True Copy of the signature page of the petition attached to the petitioners’ counter-affidavit to the motion is not a certified true copy having failed to satisfy the requirements of Section 104 and 105 of the Evidence Act. The lawyer also held that the petition in the record of the tribunal did not disclose the signatory thereof as none of the names of counsel listed therein was ticked to indicate who signed the petition. The senior advocate also contended that any attempt by the tribunal to carry out an investigation in order to discover the signatory, would amount to converting the tribunal into a forensic laboratory. He concluded that the petitioners have failed to comply with the provisions of paragraph 4(3) of the First Schedule of the Electoral Act. The judges unanimously agreed with counsel to Emmanuel on all the grounds and therefore struck out the petition on grounds of incompetence. Usoro, who hailed the ruling, commended the tribunal for the quick dispensation of justice and assured that Emmanuel will triumph in the cases brought against him by those who had lost the election in Akwa Ibom State as the will of the people who had freely voted him would be upheld. 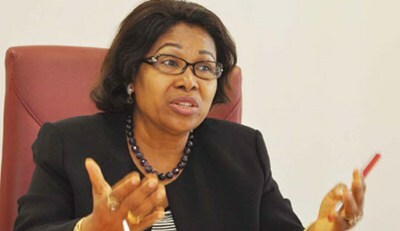 This post "Tribunal Strikes out Esuene’s Petition against Gov. Udom Emmanuel" is brought to you by Akwa Defender Squad.